Got Buzz @ Kurman Communications: Celebrate Mother’s Day all over Chicagoland! Celebrate mom this year by taking your pick of amazing Chicago Mother’s Day specials and events from brunch and dinner as well as some good old fashioned family time fun. See what is available to help you lavish mom and make her feel special this Mother’s Day. Mother’s Day Brunch at Elate: The new brunch hotspot! Elate (111 W. Huron St., Chicago, IL 60654; 312-202-9900) will be serving up its notable brunch service this Mother’s Day. Bring mom and watch her delight in Elate’s delicious brunch menu 10:30 a.m. to 2:30 p.m. Sunday, May 13. In addition to its classic menu items, Elate will be adding a buffet option for an additional $12. The buffet spread will include seasonal fruits, cheese and desserts. Elate’s a la carte brunch menu includes classics like its famous Breakfast Pizza, with ham, potatoes, truffle oil and a sunny side up egg for $13.00, Banana Custard French Toast for $12.00 and the Elate Burger, cooked to perfection with creamed leeks, apple wood smoked bacon and house-made bread and butter pickles for $14.00. Elate also features an extensive Juice Bar during brunch with familiar favorites like fresh squeezed orange and grapefruit juice and lemonade for $4.00, and delicious juice blends like the Asian Rabbit, a mix of carrot juice and ginger for $7.00 and the Sunrise, a combination of pineapple, strawberry and lime juice for $9.00. Want to celebrate mom with a champagne toast? For an additional $20.00, Elate also will provide bottomless mimosas with the purchase of any brunch entrée. Fleming’s Prime Steakhouse and Wine Bar (25 E. Ohio St., Chicago, IL 60611; 312-329-9463 and 960 Milwaukee Ave., Lincolnshire, IL 60069; 847-793-0333) will be celebrating Mother’s Day with special brunch and dinner hours and specials, Sunday, May 13. Brunch hours begin from 11:30 a.m. to 3 p.m., and feature three courses for $34.95 excluding tax and gratuity. Moms will have their choice of appetizers, entrees and desserts from a comprehensive menu including Fleming’s favorites like The Wedge, with iceberg lettuce, grape tomatoes, red onions and crumbled blue cheese, Filet Mignon Benedict with sliced filet mignon and egg on an English muffin with herd béarnaise sauce and tomato concassé, New Orleans-style French Toast and White Chocolate Bread Pudding with bourbon crème anglaise. A children’s brunch menu will also be available for $16.95, excluding tax and gratuity, for children 12 and under. Fleming’s also will be offering its Blood Orange Fizz Cocktail, a mix of Solerno Blood Orange Liqueur, Stoli Vodka, fresh lemon juice and a splash of club soda for $6.95. As a special gift to mom, spend Mother’s Day with Fleming’s and receive a $25 Dining Card; perfect for treating mom to your next dining experience at Fleming’s. To make reservations, call your preferred Fleming’s location or make reservations online at www.flemingssteakhouse.com. Mother’s Day is Sunday, May 13th … Treat the amazing women in your life to a special Mother’s Day celebration at Francesca’s. Reservations are available online or by calling your local Francesca’s locations. Extended hours at all locations. For more information visit www.miafrancesca.com. 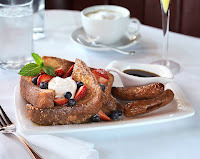 Francesca’s at the Promenade (641 E. Boughton Road, Bolingbrook, IL 60440; 630-739-6300) will have number of items, such as Vanilla bean French toast; Crispy chicken confit and bacon hash, as well as Frittata with sautéed asparagus, sausage, fresh mozzarella, spinach and house potatoes. Francesca’s on Chestnut (200 E. Chestnut Street, Chicago, IL 60611; 312-482-8800) will feature Smoked salmon omelet with chopped tomatoes, rapini and roasted potatoes; Eggs Benedict with prosciutto and Hollandaise sauce; Fried eggs with spicy avocado pesto and oven dried tomatoes. 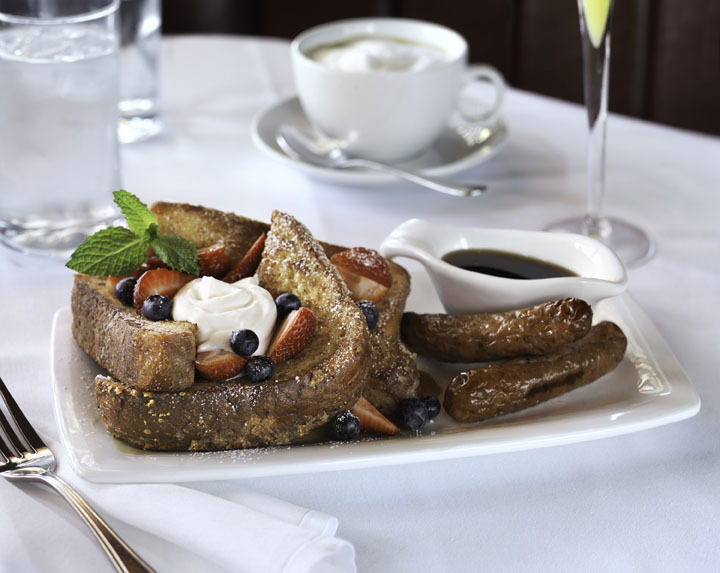 Maxwell’s at the Club (200 N. Kingsbury St., Chicago, IL 60610; 312-527-5800) will have a special Mother’s Day brunch service 10 am – 3 pm, Sunday, May 13. 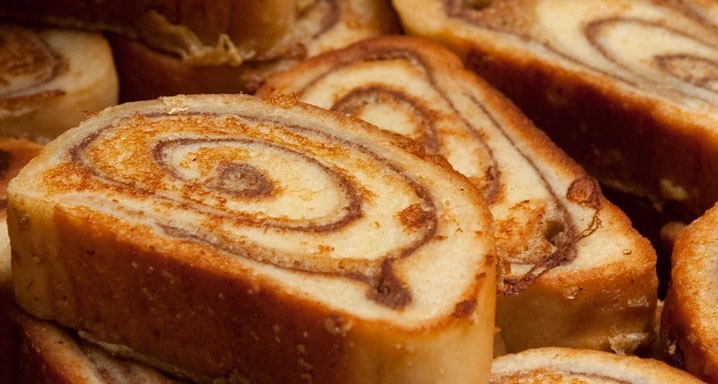 Brunch options will feature prime rib, roast turkey breast and leg of lamb carving stations, an omelet and waffle bar, assorted pastries and seasonal fresh fruit. Additionally a variety of appetizers, salads and entrée choices will be available. Come enjoy brunch and celebrate the special lady in your life at Maxwell’s for $45. Children’s brunch also is available for $15 for children 10 and under. For reservations, call (312) 527-5800, extension 301, or schedule at Maxwell’s website, using the Book a Table feature. 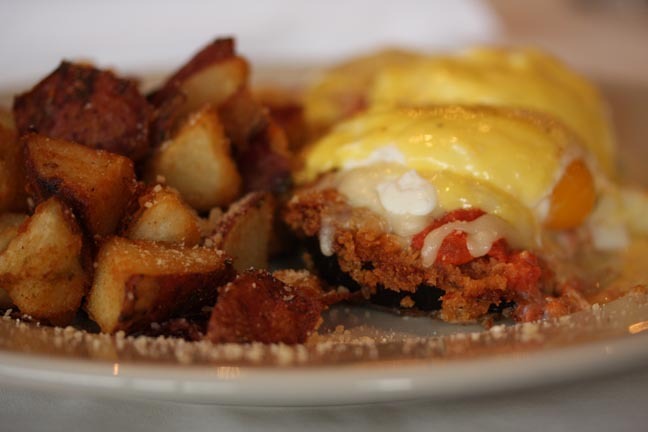 Celebrate Mother’s Day suburban style with Prairie Grass Cafe (601 Skokie Blvd., Northbrook, IL 60062; 847-205-4433). Prairie Grass Café’s will be offering a delightful Mother’s Day brunch buffet for $45, excluding tax, gratuity and beverages, 9:30 am – 2 pm Sunday, May 13. Every guest starts their meal with the signature “PGC Benedict” a poached egg with spinach and roasted tomato hollandaise. They are then able to take advantage of Prairie Grass’ amazing brunch buffet, which includes a made to order omelet station, hot waffles, its signature grass-fed beef Shepard’s Pie, Braised Lamb with yogurt sauce, raw onion and cilantro relish, Parmesan crusted Tilapia over creamed spinach, to name a few. A variety of salads and fresh baked goods from Chopped veggie salad with crumbled Amish Blue Cheese, and red wine vinaigrette, Caesar salad with homemade dressing, croutons and shaved parmesan to crusty multi grain artisan breads, mini chocolate croissants and Danishes, among other choices. To end the meal, diners also will have the opportunity to indulge in the dessert buffet, which includes Mom’s Homemade Crème Brulee Minis, Strawberry Rhubarb Crumble, Double Chocolate Cupcakes, a crepe station and a variety of seasonal fresh fruit. Children’s brunch options also are available for $15 for children 10 and under. Prairie Grass’ regular dinner menu will be available 5 pm -9 pm. To see its dinner menu and to check out Mother’s Day dinner specials visit. www.prairiegrasscafe.com. Westfield’s WFamily series returns this May with a Mother’s Day celebration at Tiffany & Co.
Westfield Old Orchard (Skokie Blvd & Old Orchard Center, 847-673-6800) is doing Mother’s Day right with a family-friendly celebration at Tiffany & Co. From 11:30 am – 3 pm Saturday, May 5 in front of Tiffany & Co., participating families can come and enjoy a crafting session creating handmade cards and gifts provided by the Westfield retailer. Along with cards, children will take home a hand painted clay pot with seeds included as a gift to mom on her special day. Completed greeting cards will be photographed and for the week leading up to Mother’s Day, cards will be displayed on Westfield’s LED billboard to commemorate the little ones’ efforts in showing love for mom. Volunteers from Wilmette District 39 schools will be on hand to help with craft time and work to raise funds for their school district. 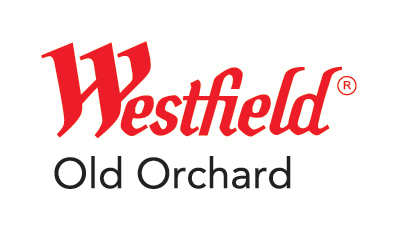 No registration is required, so bring the entire family to celebrate mom at Westfield Old Orchard.